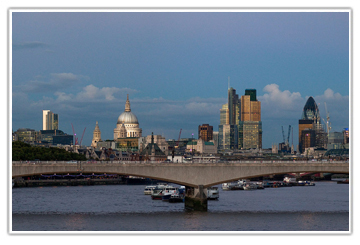 City of London: Describing Greater London as a county and then going on to explain that this county does not include the City of London is confusing to a lot of people. To put it simply, the square mile which is known as the City of London, is an entity in its own right, with Mayor London at its head. The surrounding twelve boroughs were brought together in 1965 under the umbrella title of the Ceremonial County of Greater London. The boroughs having previously been located in counties such as Kent and Middlesex for example. As the city grew and spread boundaries were expanded and so what was once Middlesex, for example, is now officially known as Greater London. It is the one county in England with the most tourist attractions, historical relevance and royal connections in the country. There are three airports from which you can fly to almost anywhere in the world, and is a hub for transport links to the rest of the country. The Greater City of London is home to some of the most famous towns in the country. While it may at one time have been nothing more than a small fishing village it is now one of the most fashionable areas of London. 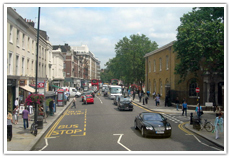 Home to Battersea House, the National Army Museum and the ancient Chelsea Physic Garden as well as one of the most famous shopping thoroughfares in London, the Kings Road. Rich with maritime history, this is an area steeped in naval history and some beautiful old riverside inns and pubs, as well as impressive royal parks. 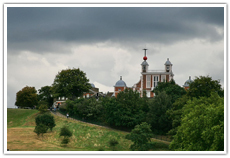 One of the most popular attractions here is the Royal Observatory which sits on top of the Greenwich Meridian; the line of zero longitudes. One of the most impressive buildings here is the Royal Naval College which is located on the banks of the River Thames. It is also home to the Thames Barrier Visitor Centre and the vast O2 area. Everywhere you look in Westminster you will be able to view part of the country’s history. There is the imposing presence of Westminster Abbey never fails to impress, neither does the view of Buckingham Palace. Westminster is not only the traditional seat of the British monarchy it is also the location of the seat of political power in the country. 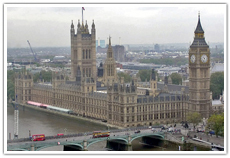 The Houses of Parliament, located in the Palace of Westminster are to be found here. The Cabinet ear Rooms are a popular visitor attraction as are Horse Guards Parade, St James’ Palace and the world famous Tate Gallery. 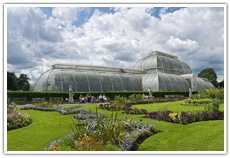 There are some incredible parks in the Greater London from Royal Park’s to ancient healing gardens. The biggest of all of the Royal Parks it is not only a National Nature Reserve, it is also a European Special Area of Conservation and the largest Site of Special Scientific Interest in London. 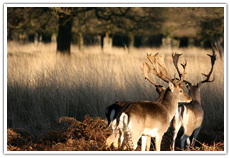 Fallow and Red deer roam the entire park freely, while you will also find Pembroke Lodge and the Isabella Plantation within the grounds. Popular the cyclists, walkers, and picnickers the park makes a wonderful haven in the heart of London. The park is open daily from 7.30am – 9.00pm. Hyde Park is another of the Royal Parks. Within its 350 acres, visitors will find the Diana, Princess of Wales Memorial Fountain as well as Serpentine Lake and the infamous Speaker’s corner. The park is popular with horse riders and cyclists as well as those wanting to enjoy open water swimming and boating. Originally designed as a hunting park, filled with deer and boar just like Richmond Park its use has changed significantly as it is now a popular film location as well as a concert venue. The park is open daily from 5.00am – Midnight. 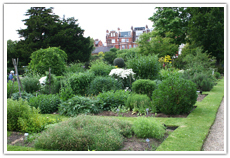 The gardens here were created by the Worshipful Society of Apothecaries in 1673, for the purposes of allowing apothecary apprentices to cultivate and study the medicinal properties of plants. It is home to the biggest fruiting olive tree in England. It is home to a number of specially designed gardens including the pond rock garden which contains Icelandic lava as well as stones taken from the Tower of London. The gardens are open Tuesday – Friday, Sundays and Bank Holidays between 11.00am – 6.00pm. 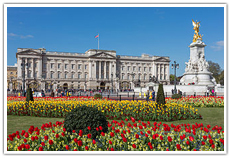 Buckingham Palace is the Queen’s official residence in London. It was constructed in 1705 for the then Duck of Buckingham. 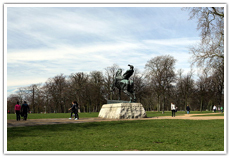 Located between three of the eight Royal Parks it is one of the biggest tourist attractions in London. Nineteen of the palace’s state rooms are open to visitors during the summer while the Queen leaves the palace to visit Balmoral in Scotland. Visitors also make a point of watching the changing of the guard which happens every day at 11.30am during the summer, and on alternate days during the winter. For more information about booking onto a tour or any other of the royal residences visit http://www.royalcollection.org.uk. 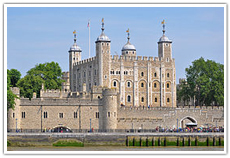 Located on Tower Hill, the Tower of London is one of the most visited attractions in London. The tower has a very dark and bloody history. It is a palace, a fortress, and an armory and at one time the grounds were home to wild and exotic animals making it the first true London zoo. The Tower now houses the crown jewels and is still manned by Beefeaters who were originally the personal guards of King Henry VIII. Tours will show visitors where prisoners were beheaded, including the unfortunate wives of the king. Visit http://www.hrp.org.uk/TowerOfLondon to learn more. Otherwise known as The Houses of Parliament it has been the seat of the UK Government for centuries. Situated alongside the River Thames it is actually the New Palace if Westminster as it was partially rebuilt during the 1800’s following a fire. The Great Hall is the last remnant of the Original Palace of Westminster which dates from medieval times, built on the orders of William II in 1097. It ceased being used as a royal residence in the 1500’s after a fire destroyed much of the king’s private quarters. Visit http://www.parliament.uk/about/living-heritage/building/palace to learn more about the building, its history, and public tours. There are some incredible activities available in London which are not available anywhere else. Located on London’s Embankment the eye offers a unique view over the city and surrounding area. The pods on the giant wheel can accommodate wheelchairs making it accessible to all. Opening times can vary, but the wheel generally operates between 10.00am – 8.30pm. 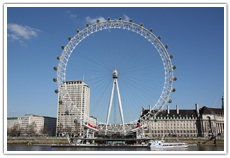 For information about ticket prices and facilities visit http://www.londoneye.com. 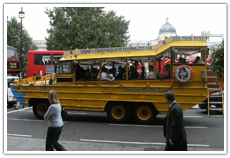 Duck tours are unique to London and the Thames. The vehicles used in the tours are amphibious which means that not only can they drive you around the streets of London; they can also take you out on the river too. It is a fun way to discover more about this incredible city, with each distinctive yellow vehicle seating thirty and a full commentary on every tour it makes a fun way to see some of the city’s most popular attractions. 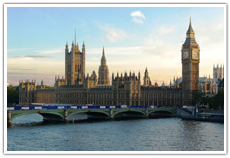 Visit http://www.londonducktours.co.uk to learn more about the different tours available. 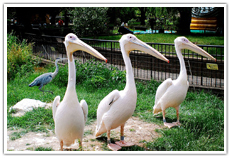 Located within Regent’s Park ZSL London Zoo offers everything you could want for a family day out. From big cats to tiny bugs there are more animals here than the children will ever have experienced before. With plenty of places to stop and enjoy some refreshments, keeper talks, feeding displays, and interactive activities it offers something for everyone. Visit http://www.zsl.org/zsl-london-zoo for information about ticket prices and special events. Take afternoon tea in some of London’s most iconic locations. Located in Mayfair, afternoon tea has been enjoyed at Claridges for more than one hundred and fifty years. Finger sandwiches, homemade scones, and delicious pastries are prepared daily. Afternoon tea is served in two sittings between 3.00pm – 5.30pm. The dress code is smart casual and afternoon tea needs to be booked in advance. 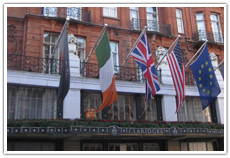 Visit http://www.claridges.co.uk/london-mayfair-afternoon-tea for more details. Afternoon tea at the Savoy is famous for its signature pastries and cakes as well as their traditional scones and finger sandwiches. Afternoon tea is priced at around £47.00 and a strict dress code needs to be observed. 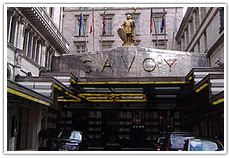 Visit http://www.fairmont.com/savoy-london/dining/thamesfoyer for more details. 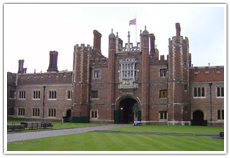 Located in Surrey, Hampton Court House overlooks beautiful parkland. It is a glorious Georgian Mansion which makes a fabulous wedding location. The heart-shaped lake; winter gardens and grotto all make for stunning wedding photographs. The house also has a private helipad. Located only 15 miles from Heathrow airport it is an easy to reach location for guests. Located in West London Kew can accommodate up to 400 guests. Ceremony venues are all located within the gardens which make for some incredible photographic opportunities. Smaller weddings can be accommodated in the former royal residence within the gardens, Cambridge Cottage. 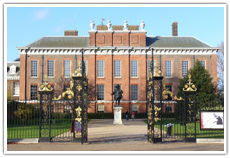 Located in West London Kensington Palace is a stunning wedding venue. Home to the Duke and Duchess of Cambridge the palace offers glamour and beauty as well as history. Kensington gardens make the perfect photographic backdrop for a fabulous day to remember. There are only a limited number of site to chose from in London. 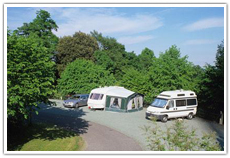 • Crystal Palace Caravan Club Site – Crystal Palace, London. 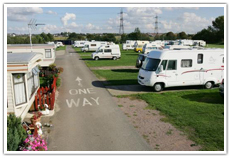 • Abbey Wood Caravan Club Site – Abbey Wood, London. • Lee Valley Camping & Caravan Park – Lee Valley Leisure Complex, Meridian Way, Edmonton, London. 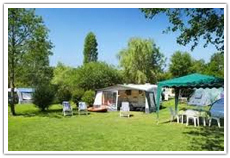 • The Elms Caravan & Camping Park – Lippitts Hill, High Beech, Loughton, London.